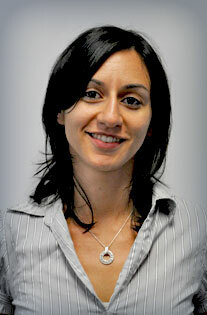 Shanee Fleischer Graduated from the University of Melbourne in 2004 with a Bachelor of Physiotherapy. Since then she has worked in Melbourne and in the United Kingdom in a variety of health care settings, including Acute and Rehabilitation hospitals where she has gained experience in post operative care and rehabilitation. In addition to this she has worked in private clinics, where she has gained experience with Clinical Pilates, and as a fitness instructor for pregnant and post natal women. Since graduating she has developed a keen interest in the treatment of musculoskeletal and pregnancy/post partum related complaints, including back and neck pain, sporting injuries and the management of mastitis. She is also passionate about incorporating exercise prescription into her treatment of acute and chronic problems, and is experienced conducting small group physiotherapy rehabilitation sessions. Shanee continues to attend professional development courses to stay up to date with the latest evidence based practice. She has completed level 1-4 Clinical Pilates courses with Dance Medicine Australia and routinely incorporates this into her management of sports and spinal complaints. She is very excited to be able to incorporate her clinical pilates knowledge into the new group physiotherapy/clinical exercise service offered at Caulfield Natural Health Clinic.